Schizophrenia a disease which is recently a topic of discussion of program Satyamave Jayte on a public channel star plus. They have called the expert from mental rehabilitation centre. 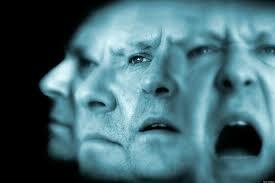 After discussing about the schizophrenic patients he had not touched the ancient system of herbal medicine. 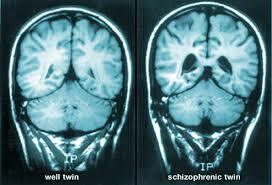 In ayurveda, schizophrenia is a manovikriti disorder which is due to vitiation of vatta causing vitiation of satva guna in mana and increasing tamo bhava and rajo bhava .Rajo bhava is anger, irritation and Tamo bhava is negativity. Patient is in a state of confusion. Trying to Speak with himself. Without reason abuse others. As an ayurvedic physician, I advised you to go for mantra chiktisa, meditation and ayurveda herbs has a lot of power to regenerate the brain cells. It can repair the damaged neurons or increase the impulsive power of nerve. Meditation and yoga makes the patient better. are the nootropic agents or Madhyatasayan in ayurveda which helps to increase the mental power. Patient can take these herbal medicine as a additive therapy with their allopathic drugs and as a dietary supplement. .These herbal preparations regenerate the brain cells. The Hollywood movie The beautiful minds shows the difficulties and problems and how the mind get involved with a negative energy. So as a herbal physician I request the relatives to take them to yoga centre for meditation and take ayurveda medicine as supplements with your treatment. This entry was posted in free online ayurvedic consultation, Healthcare and tagged SCHIZOPHRENIA, schizophrenia and alternative treatment, schizophrenia and herbal treatment, schizophrenia and integrated medicine on December 16, 2014 by ayurvedicconsult. The nervous system is a very complicated and delicate set of nerves which spread through out our body and control all the bodily activities. The nerve cells originate or receive impulses and impressions of various sorts, which are conveyed from them to the muscles , blood vessels by efferent nerves or received by them through afferent nerves coming from the skin, organs, sense organs , jan be oints. In the first category disease included are the result of somatic changes. This entry was posted in free online ayurvedic consultation, Healthcare and tagged afferent nerves, efferent nerves, SCHIZOPHRENIA, SCHIZOPHRENIA AND AYURVEDIC CONSULTATION, SCHIZOPHRENIA AND AYURVEDIC TREATMENT, SCHIZOPHRENIA AND HOLISTIC TREATMENT on November 25, 2014 by ayurvedicconsult.